Want to show the world your awesome solo skills and win a Supernova snare drum? Thanks to a new competition from Supernova Drum Co and Drumming.co you can do just that. All you need to do is add a 15-second clip of yourself soloing to Instagram. From the entries, ten will be chosen as finalists and added to Supernova's Facebook page, with a public vote deciding the winner. 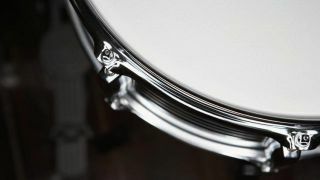 The triumphant soloist will walk away with a gorgeous Supernova snare. You have until 6 December to get your entry in. For more details head here. In need of some soloing inspiration? The new issue of Rhythm is packed with a huge feature on the drum solo - its history, the masters of the art and more.